Food is on everyone’s mind when they go cruising. A 2012 study suggested that cruise passengers typically put on more than a pound a day as companies offer increasing varieties of food – not just dessert – and even have midnight buffets for peckish folk. In short, guests love to try out as much food as they can and often, a little push will have them reaching for another taste. With dessert, it’s much harder for them to resist temptation and cruise ship chef jobs have them doing all they can to amp up presentation while keeping taste in focus. The tradition of taking this dessert out in a parade before alcohol is poured over and set aflame goes back decades. It is said to have originated when refrigerators only just began to enter cruise ships and companies wanted to use it as a selling point. The Baked Alaska parade is considered a tradition on Carnival cruise ships. 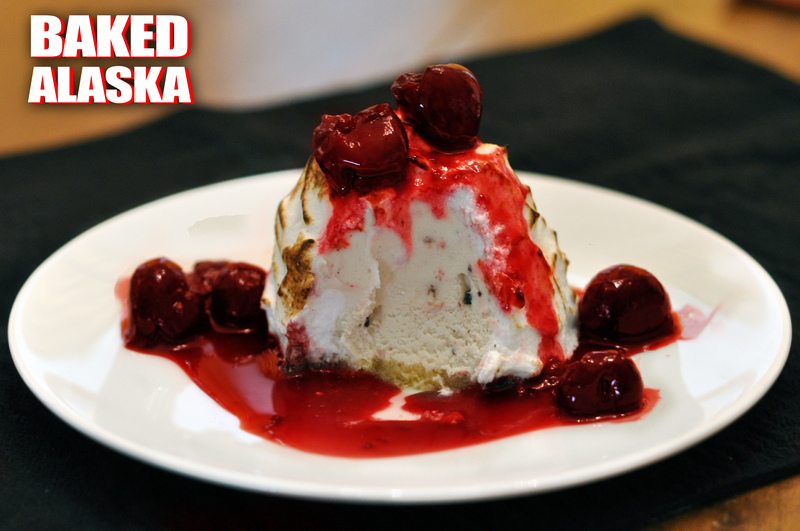 A Baked Alaska is a combination of ice cream and sponge cake slices covered in meringue. It can be placed in a very hot oven to brown the meringue, or it can be doused in alcohol such as rum and then flambéed on service. This gooey chocolate dessert is popular across cruise lines due to its decadence. It is another Carnival favourite and can be found in almost the main dining halls of all its vessels. Most often made in a single serve ramekin, molten chocolate cake can be served hot with a side of ice cream drizzled with chocolate sauce and garnished with mint. Its main ingredients are melted butter and chocolate, eggs whipped with sugar and sometimes a little flour. 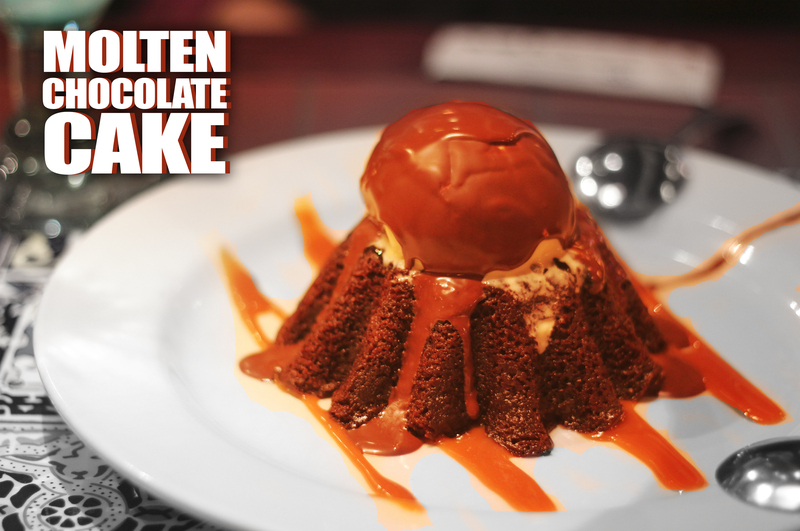 Its main characteristic is a gooey molten chocolate centre hidden by a springy sponge covering. A bread and butter pudding – also called a whitepot – is a staple in British cuisine. It brings the flavours of home to English guests on board and cruise ship chefs must learn to make it perfectly. Holland America is well known for its delicious bread and butter puddings. 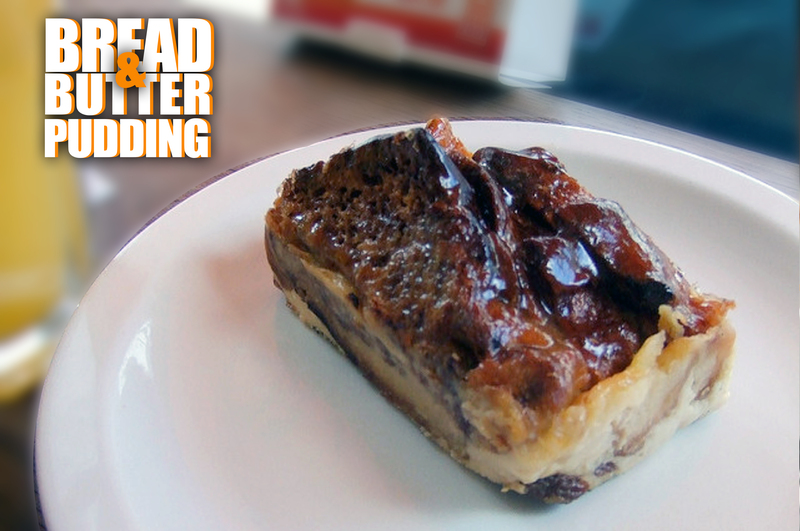 This dessert emerged as a way to use up stale bread, and even on cruises they will use day-old bread to get the right amount of sogginess. Thick slices are slathered in butter and layered on a tray or oven dish with raisins before a thick vanilla custard is poured over and the dish is baked. Sometimes flavoured jams are also spread on the bread – strawberry, raspberry, marmalade, blackberry and mixed fruit are common options. Some cruise ship chefs like to add liqueur to give it a bit of a twist. It is hard to travel anywhere in Europe without finding some version of the cheesecake or other. This dessert probably originated with cheese-making itself, starting off with a basic honey-sweetened smooth cheese. 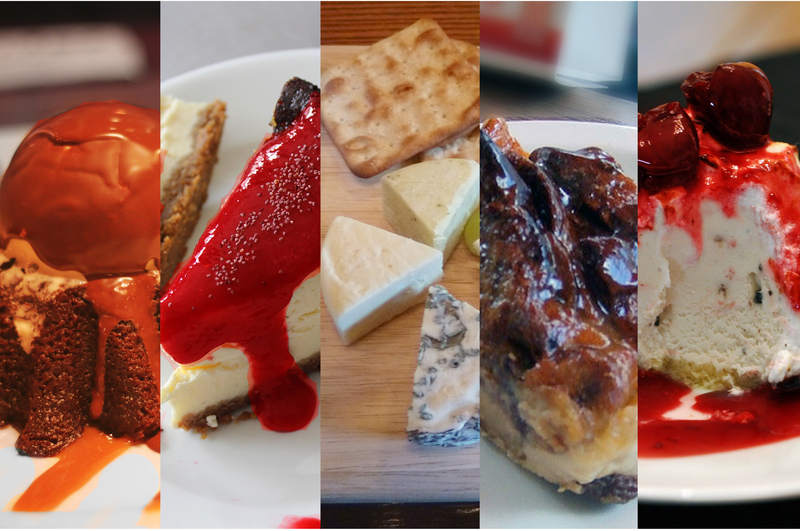 Cheesecake is a popular dessert on most cruise ships. They can be either baked or set in a refrigerator. 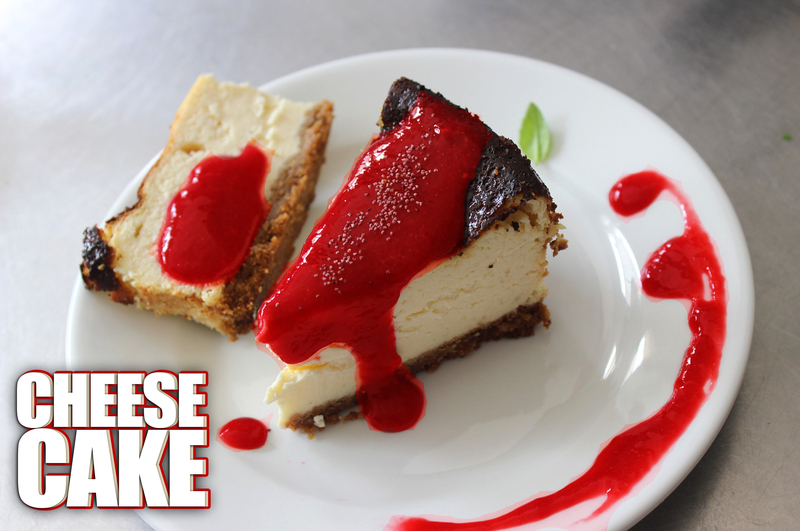 Typically, a cheesecake has a base of crushed biscuits or sponge cake. The main portion is a mix of smooth soft cheese mixed with sugar, eggs and vanilla for flavouring. It can be topped with whipped cream, flavoured sauces, fruit or even just dusted with powdered sugar. As it turns out, there are people in the world who do not like sweet dishes. There are others who are unable to eat sweet dishes – either by way of a health issue or simply to keep calorie counts low. Here, a cheese board comes in as the perfect dessert, not just for these guests, but also for those who simply love cheese. 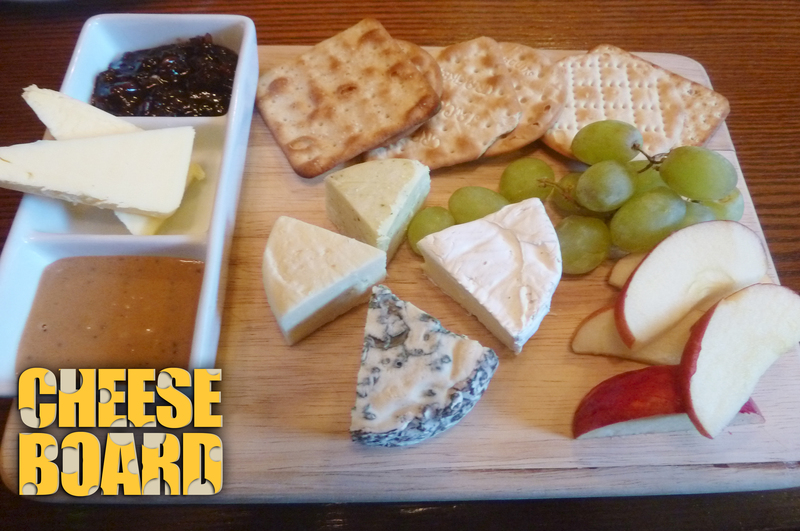 A cheese platter is an excellent idea on board a cruise ship as most cheeses keep for while. Cruise ship chefs ensure they offer a variety of cheeses to suit tastes. There will be samples from blue, firm, soft and aged as well as from different types of milk – cow, goat, sheep, buffalo. Alongside, you will have a selection of bread or crackers and a variety of preserves, chutneys, mustards and caramalised onions. Common accompaniments include cured meats, and sometimes nuts and dried or seasonal fruit. This entry was posted in Cruise Life, Cuisine and tagged Baked Alaska, Bread and butter pudding, Cheese board, Cheesecake, Continental, Cruise, Desserts, Molten chocolate cake, Top Continental Cruise Desserts on March 24, 2018 by admin. The tried and tested recipe for being a successful chef has been to cook exceedingly well and manage staff and venture efficiently. However, as hospitality becomes an increasingly competitive market and high-profile career choice, this path could be insufficient. Being a successful chef does not only mean that your customers love your food and your staff love you. It means building a brand around yourself by managing, analysing, learning, planning, of course cooking your best food, and finally marketing it effectively. Well-known restaurants are successes only on the back of the chef and his/her team. A great name can fall if the team does not deliver. So even as you begin your career, it is important to dream about success, because without targets, the finish line is almost unachievable. The first step to becoming a successful chef is to get a good education. Choose an institute like the American College of Culinary & Language Arts that offers skill-based training and hands-on experience to give you a solid foundation in the basics. Equally vital is throwing yourself out into the field with internships, stages or pro bono work if needed to understand the real pressures and challenges of a working business. Travel helps immensely, and cruise ship chef jobs are one of the ways in which you can combine travel and experience. At this point, it is important to envision your brand, particularly if you aim to go solo or manage a restaurant on your own someday. The 21st century is all about the internet and social media, so building a name for yourself or creating a following online helps incredibly, even before you start out. One example is Fabio Viviani who learned how to use social media before he joined the TV series Top Chef, and created an image of himself online – LinkedIn and Twitter which were big then. While on the show, he used his good looks and exotic accent to his advantage along with his excellent skills as a chef to become a fan favourite. Even though he didn’t win the show, he catapulted himself into the industry by using this leverage and 10 years later is still one of the names most well remembered by fans of the series. Additionally, he has guest appeared on other shows, released his own online cooking show and has authored several cookbooks. Today, he’s a culinary personality. You may not need to be Fabio Viviani, but a successful chef can use social media to create a buzz about his/her restaurant or venture and keep the interest alive. It makes business sense to learn how to cultivate a good online presence even before you start a restaurant of your own. Once you head a restaurant or open your own, focus inward as well. The key to becoming a successful chef is to lead and manage well. You must know how to direct people to accomplishing tasks but also make them feel like they’re part of a team that aims to exceed expectations. Understand what pushes sales – which dishes are popular and why, the labour and financial costs behind each item on your menu, yields from various products used in the kitchen (such as various cuts of meat or variety of rice), etc. Take interest in seasonal traffic if any, costing strategies and changing food trends and styles. What are customers interested in? At the same time, focus on staff. Listen to their issues and suggestions. Many might have valuable insight into various parts of the process – from service, to new dishes, to effective management. They will also feel valued. Listen also to your guests and other companies that are successful at what they do. 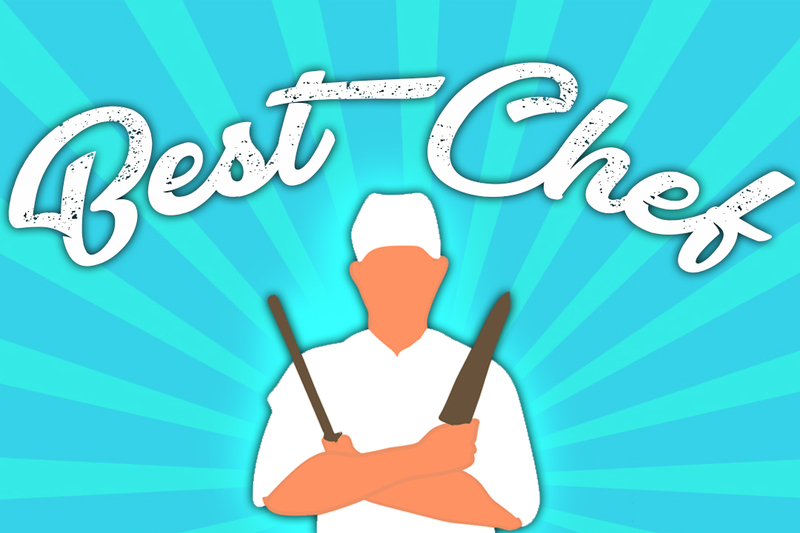 They may not be in the same business as you are, but a successful chef can learn strategies from anyone. Finally, keep learning and keep your staff learning too. Widen your skills and those of the staff as well. The more you know, the easier it is to plan for the future and stay one step ahead of competitors and perhaps even trends. Try to learn something new every day, no matter how small. The most successful chefs know the traditions of food and truly appreciate them, but they are not afraid to bend the rules to keep succeeding. The best chefs are those who can foresee what customers will want in the future. Aspire to this. This entry was posted in Chef Jobs, Cruise Life, Cruise Ship Jobs, The Galley and tagged accla, American College Of Culinary and Language Arts, cruise chef on March 3, 2018 by admin.